With the soaring popularity of BTS Army, cute Korean faces have been a staple on the American TV screen. However, the fame had made an early call to American born- Korean featured actor/model Daniel Henney. Hands down! His sharp facial features and hunky built is enough to make millions of ladies want to become his girlfriend. But if they wish to become his wife, they better pass on his credentials of a wife material! The Korean heritage actor/model has garnered applause for his works both in Korean industry and in Hollywood. He made his acting debut through a South Korean sitcom Hello Franceska followed by My Lovely Sam Soon in 2005 while first of his Hollywood gig was Seducing Mr. Perfect in 2006. 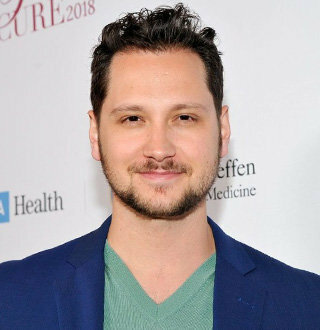 He has become a regular face in both the industries, continuing his work in Criminal Minds for American TV shows and as a cameo for Dear My Friends for Korean drama in recent years. Interesting: Mark Tuan Wiki: Age 25 Pop Superstar, Girlfriend To Tattoo; Who's He Dating? The actor has managed to receive honorable awards for his roles in stunning movies. He received Blue Dragon Film Award For Best New Actor in 2007 and Grand Bell Awards under the same category in the following year and so forth for his brilliant acting in both tv shows and movies. Daniel Henney Born While Racism Was At Its Peak; Victim At Tender Age! 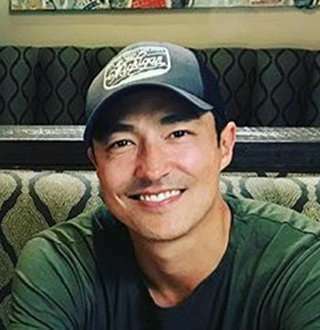 Daniel was born as Daniel Phillip Henney in Carson City, Michigan on November 28, 1979, to parents with utterly different roots. His father, Phillip Henney is an American-born Irish while his mother Christine is a South Korean- who was adopted by an American couple at a very young age. He is a family kid and loves hanging out with his parents. The 38 years old inherited his mother’s gene that gave him distinct Asian features. But this became the reason for his rough childhood as a result of being born in the era when racism was at its height. He was abused for his Asian looks during early school years. But he grew resilient to the racial slurs and learned not to give attention. And one thing that helped him keep occupied was basketball. He had an athletic built, and 6ft. 2 inches height came in handy in the basketball court, and he even received a basketball scholarship to attend Alma College and Albion College. Had he not found his way to the entertainment, he would have well suited himself with a career in basketball. The hunky model stepped into the modeling field in hopes of earning enough to pay his tuition bills. And by the time he left college he had obtained a handful accolade in the field with tours around Italy, France and so forth. His transition from a model to an actor was the watershed moment he had been waiting for. And the career that started with Seducing Mr. Perfect landed the world at his feet. After the movie, he went on to star in numerous hit movies including My Father, X-Men Origins: Wolverine, Shanghai Calling, The Last Stand, and Big Hero 6. Having given numerous hits, the actor is gleaming in his elite profession already. And now, he shall not have to worry about the finances forever as he relishes a net worth of $5 million. There is more on the career to Daniel as he has long to go until he comes of age to bid a farewell to the profession. Who Is Daniel Henney’s Girlfriend? The star model has got multiple women to fall for him. One of his most talked about girlfriends is Mission Impossible’ actress Maggie Q. The relationship proved to be impossible indeed as it lasted merely for a year in 2005. After the obvious failure in the impossible relationship with Maggie, he had preferred to keeps things from his dating life to himself until April 2018, when Japanese-American actress Ru Kumagai was rumored as his girlfriend. The two gave a head up to speculations by sharing photos of each other’s pet dogs. Cooling down the heated rumor, a confirmation came out that the two are only good friends and nothing more. Apparently, they are in love with each other’s pets but not with the respective owners! So, no girlfriend for Daniel! Want To Get Married To Daniel Henney? Get Ready To Give To His Mom Grandkids! It's not just us that have been fretting over Daniel's marriage as his family is equally concerned about him not getting married. Daniel is well aware of his mom’s concern regarding his wedding- which doesn’t appear to be occurring anytime soon. While sitting down with MBC's I Live Alone in 2016; he spilled about his mother’s worries about him not getting married. She doesn’t mention it. But I would like to get married. My mother would like grandkids. The actor stressed on his want to get married. But the wish did come with a perk, as not only he had to find the right person, but she should also be able to give his parents grandkids. And two years hence of the interview, still there has been no news about the star's wedding. Seems like, the hunt for the right one is still going full throttle! Jonathan Bailey Girlfriend Amid Raging Gay Speculations | Who's He Dating? Ross Marquand Wife & Married | TV Shows Queer Man Gay In Real Life?